This past Friday we released an exceptional washed African coffee. The Tanzania Mbinga Ruvuma is light bodied and sweet. Many of you have enjoyed this great coffee this summer as our cold brewed Toddy. 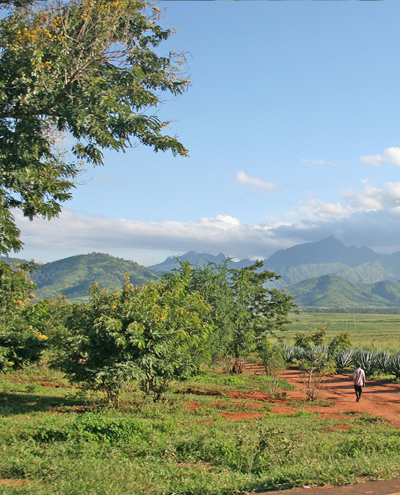 Grown in the remote corner of Tanzania, along a road to Zambia in volcanic soil, this coffee is so good, in part because extra care is taken in the production and the processing of this coffee. Instead of the community of farmers pulping their own small lots in their back yards, they bring their coffee to the pulping mill, where each bean is inspected for ripeness before it is processed. The farmers are paid the same price as if they had done the processing themselves. Availability: French Press, Pour Over, Retail, and Single Origin Coffee Truffles. Just wait, did you say truffles? Our Tanzania Mbinga Ruvuma infused hand crafted truffles are coming out in all stores this Friday. Amazing, simply amazing.